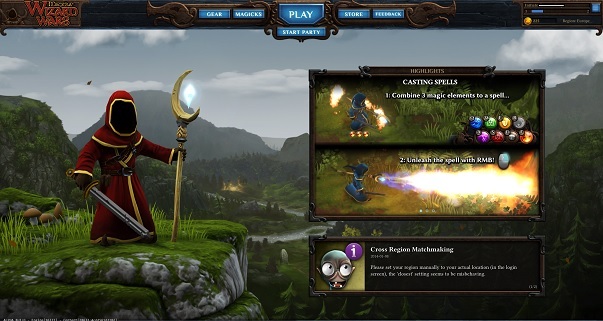 Paradox Interactive the creators of the popular game Magicka now presents a whole new game, Magicka Wizards Wars. 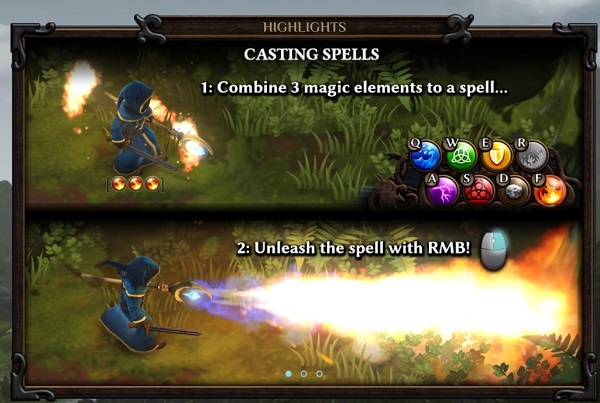 Magicka: Wizard Wars is a fastpaced action PvP game that utilizes the humor and dynamic spellcasting system of Magicka, tasking players to form teams of four and blaze their way across the battlefield together, combining elements to cast hundreds of different spells to generate a broad variety of offensive and defensive effects. Each player can design a persistent and personalized wizard with hundreds of unique items and guide them to glory. While the original game allows you to combine elements for literally hundreds of possible effects, here you have a set of fast battle combinations. The controls are somewhat different, you can make stone shields on yourself, but middle mouse also does surrounding attacks and shields. Also you have abilities set to the the 1234 buttons which included spells like revive, meteor shower and summon death. The goal of the game is for your team to capture bases across the map. Then there’s the store which seems exciting. 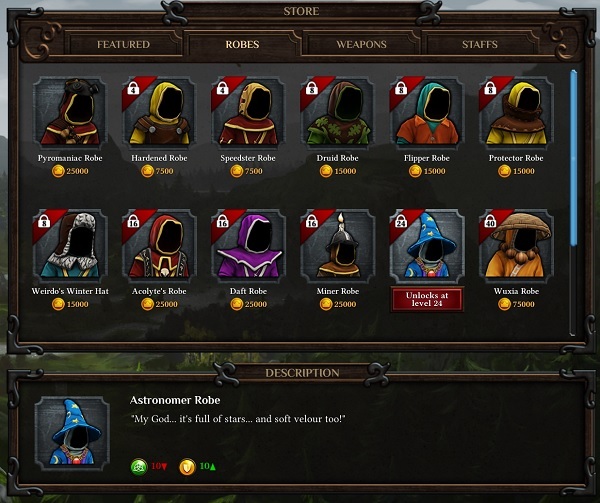 You can buy upgrades for your wizard such as robes, wands and melee weapons.